Alan Potts lived for his Cheltenham winners, the bigger the better, and Finian's Oscar kept the flame burning brightly for the owner who died this week aged 80. 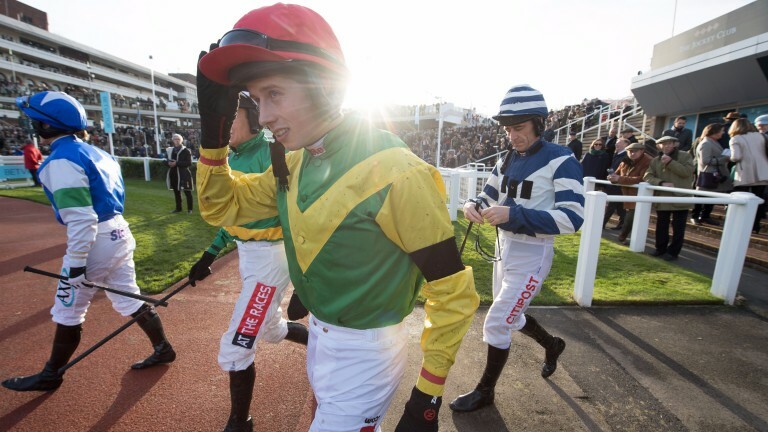 The five-year-old's success under retained rider Bryan Cooper paid a fitting tribute to one of racing's biggest owners in advancing his Cheltenham Festival claims, albeit against two rivals in a steadily run Steel Plate And Sections Novices' Chase on Friday. Success was not assured at the last as Betfair Hurdle runner-up Movewiththetimes took a length lead on to the run-in, but Cooper asked Finian's Oscar for a flying leap at the last and received it to land running, and he was soon past his rival to win "quite cosily", according to winning trainer Colin Tizzard. The trainer, who was sent a crack squad by Potts last year with the Cheltenham Festival in mind, warned everyone not to underestimate the narrow success. He said: "He's only five and was giving weight to them all. Nothing fazes him – he's a good horse. "There was a little bit of Alan Potts in this win. When push came to shove he came up with the answer, just as his owner did." Tizzard was quick to also praise Cooper, who wore a black armband, for the ride and his positive approach to the race, both beforehand and as the race developed. "Bryan was very, very good on him," he said. "It looked like the race was lost going into the last but Bryan was very positive and this horse always has something left in the locker – he can be a bit lazy at times." Potts, whose wife Ann had died earlier in the year, was much in everyone's thoughts and his picture was shown on the big screen opposite the grandstand before the race, while Finian's Oscar and Cooper returned to applause ringing around the whole parade ring. Paddy Power were impressed with the tenacious attitude shown by Finian's Oscar, shortening him to 6-1 favourite (from 9) for the JLT Novices' Chase in March. However, Finian's Oscar's festival target could yet be the Racing Post Arkle – for which his odds range from 8-1 to 12-1 – as Tizzard added: "A fast-run two miles could be right up his street but we'll find out more between now and March." 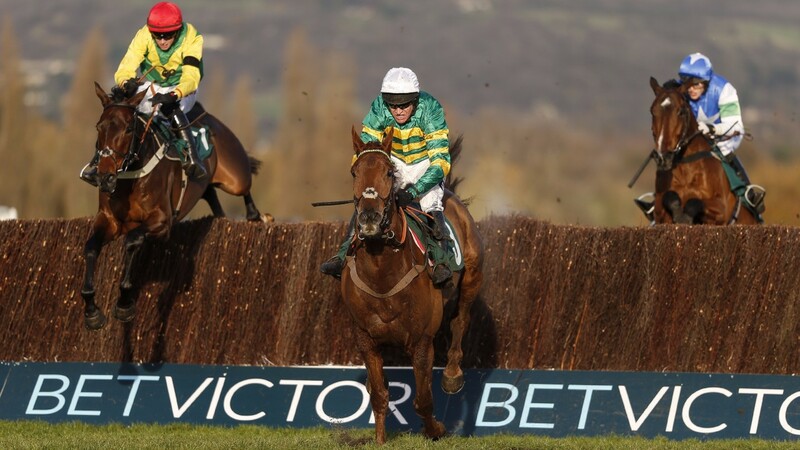 While Barry Geraghty looked to have made a winning move on Movewiththetimes from the second-last, the rider never felt he had the winner's measure. "The winner is very good – we had a go at him but weren't good enough," said Geraghty. Chase debutant William Henry jumped right, before Davy Russell's saddle became loose after jumping the last on the first circuit, and he was pulled up.